The contested Thompson Divide area near Carbondale is part of a swath of the White River National Forest that's up for review. The BLM is seeking public comment on how to manage existing oil and gas leases in these places. The public is getting a chance this week to comment on what happens to existing oil and gas leases in Garfield, Pitkin and Mesa Counties. Sixty-five leases within the White River National Forest are up for review. Just eight of them hold active infrastructure, like gas wells. The Bureau of Land Management handles the leases and is soliciting feedback on what do with them. "Our goal with this is to try and provide as much information as we can to people about what we’re doing and why, so that they can provide specific comments about what they want to see in the EIS, and what concerns they have," says BLM spokesman David Boyd. He says the agency will consider public comments from meetings in Glenwood Springs, Carbondale, Aspen and DeBeque when it draws up its Environmental Impact Statement, or EIS. That document will guide how the agency manages the leases in the future. "The range will be from voiding the leases to keeping them the same. We’ll definitely have one alternative that analyzes voiding the leases, one alternative looking at how they are right now, and then, likely several alternatives, looking at different options within that range." About 25 of the leases up for review are in the Thompson Divide area, west of Carbondale. Recently, the BLM extended the life of some leases in that contested area. 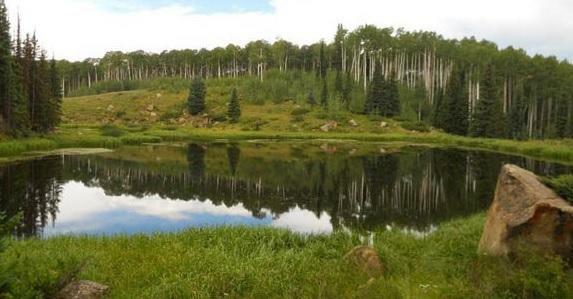 Possible drilling is controversial because some people see it as a rural, pristine area that should be left untouched. About 150 people attended Tuesday’s public scoping meeting in Glenwood Springs. Another will be held today, at the Pitkin County Library in Aspen. It runs from 3 to 6 pm. The last meeting will be in DeBeque on May 1st. Comments on the public scoping process will be taken through May 16th. Then, a draft EIS is due out in the summer of 2015. The Greater Sage Grouse is in trouble. The bird looks like a large chicken and has an elaborate mating dance… and it's habitat across the West has been under siege for several decades. There’s been big effort to help the bird. Now, Garfield County officials are watching closely as the federal government decides how closely to protect a big chunk of its Colorado habitat. There’s disagreement about how to do that... and huge restrictions on private and public land are at stake if officials get it wrong. The BLM is taking comments on its habitat plan for the Greater Sage Grouse. There’s a small army of citizen scientists just over the mountains from Carbondale. Residents in the Paonia area are donning special backpacks for twenty-four hours at a time, to collect real time data for scientific study of air pollution. The aim is to measure what might be getting into the air from nearby oil and gas wells. Editor's note: Below is a transcript of reporter Elise Thatcher's story. In a meeting with Pitkin County Commissioners last week, U.S. Congressman Scott Tipton said he doesn’t support legislation to protect the Thompson Divide from oil and gas drilling. Instead, Tipton wants negotiations between conservationists and energy companies to continue. For years, the sides have been working on an alternate plan to protect the area. 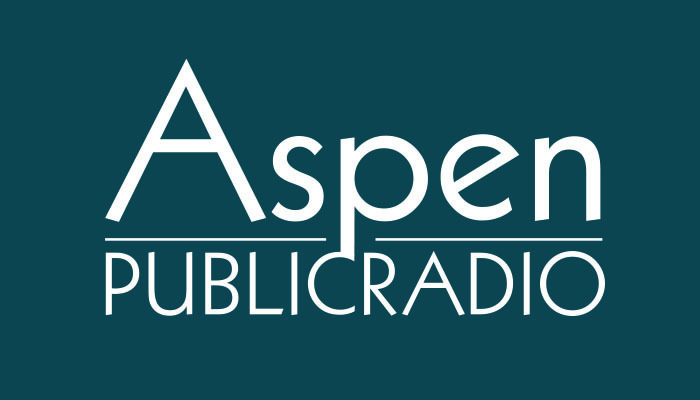 Aspen Public Radio's Marci Krivonen reports.